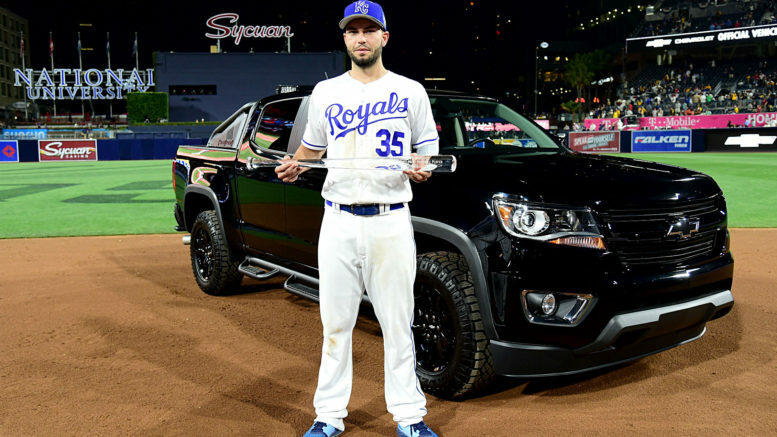 The Royals' Eric Hosmer got a shiny new car, which means that a team like the Rangers, Indians, or Red Sox will get homefield advantage in the World Series. Seriously? Aside from the fact that I get to use the term “shenanigans” in this article’s headline — one of my all-time favorite words — it is seriously time to end the All-Star Game homefield advantage madness that Bud Selig bestowed upon us in 2003. After all, it was Selig’s own incompetence and subsequent shame that caused him to do something drastic. After the 2002 All-Star Game in Selig’s hometown of Milwaukee ended in a 7-7 tie, he felt the only way to avoid such a fate in the future was to “add more meaning to the game.” Somehow, he came up with the notion that the winning league should earn homefield advantage in the World Series. It made no sense then, and seemingly even less now. This year, the Texas Rangers, Cleveland Indians, Toronto Blue Jays, Boston Red Sox, Baltimore Orioles are the teams likely to benefit most from Eric Hosmer’s MVP performance last night. Perhaps the Kansas City Royals will make a third straight trip to the Fall Classic, or the Houston Astros or Seattle Mariners will be a Cinderella, but ultimately any AL team could end up with 10 fewer wins than its NL counterpart and still open the World Series at home. To Selig’s fortune — but certainly not his credit — it has worked out that in the 13 previous World Series where homefield was determined by the All-Star Game winner, the team with the better regular season record (or in one case the same record) ended up with homefield anyway on 11 occasions. One exception still stings down in Texas, because it was the 96-66 Rangers opening up at the 90-72, wild card Cardinals in 2011. We all know how that turned out, with David Freese’s Game 6 heroics leading to a Cards series win in seven. The Cards were on the opposite end in 2004, when they went 105-57 compared to Boston’s 98-64 mark, and were swept. But the end certainly does not justify the means here with the 11 teams that happened to end up with superior records. A lot of times, the obvious solution isn’t the best one, but in this case is most certainly is. Baseball purists will talk about the records being slightly skewed because maybe in one league, the competition is tougher than the other, so it isn’t fair to assume that a 94-win team had an easier road to that mark than, say, a 96-win team. But realistically, with every team playing 20 interleague games per season, we can throw that idea out the window. Baseball postseason spots are the most cherished of the four major pro sports, because ultimately, even with the advent of the second wild card, there are the fewest with 10 total. And it is true that sometimes, the difference between a 98-64 team and 97-65 team isn’t even quantifiable. But if the goal is to make every one of the 162 regular-season games count — and both Selig and current commissioner Rob Manfred have said as much — than rewarding that 98-win team is the only fair and logical thing to do. Even though it’s only happened twice in 13 years, it’s inevitable that one year in the very near future we will have a 102-win team having to open up on the road against an 88-74 club that earned the second wild card spot. If such a scenario were to present itself this year — let’s say the 101-61 Cubs get pitted against the 89-73 Red Sox — is it fair to give the Sox an extra game at Fenway just because Hosmer and Royals teammate Salvador Perez homered in an exhibition game three months earlier? No matter what stipulations the league attaches to the game, the All-Star Game is still just that — an exhibition. And it is far and away the best All-Star Game of the four major sports, one that will draw equal fanfare no matter what the outcome and no matter how many key players are absent. Even if it seems like the 2011 Rangers are the only team that can cry foul from this rule, I feel confident in saying the vast majority of players, coaches, experts, and fans would agree that it is a completely arbitrary, silly idea. It’s time to end the shenanigans (I had to say it once more). Be the first to comment on "It’s Time to End the All-Star Game Homefield Advantage Shenanigans"